After Joseph Mallord William Turner “Hampton Court Palace,” a drawing thought to date back to 1829; image courtesy the Tate. The 2016 Academy Awards are handed out this coming Sunday so I’m celebrating a film that showcases the built legacy of Henry VIII to delve back into the subject I began here on February 2nd. 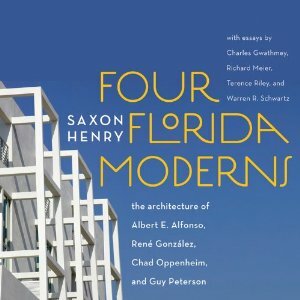 The movie that showcases Henry VIII’s architectural heritage so beautifully is A Man for All Seasons, which swept the Oscars in 1967 by winning awards for Best Picture; Best Actor in a Leading Role; Best Director; Best Writing, Screenplay Based on Material from Another Medium; Best Cinematography, Color; and Best Costume Design, Color. It was also nominated for best actor and best actress in supporting roles. Hampton Court Palace Wins an Oscar! The film deserved all of the awards it earned but I feel it is particularly worthy of the nod for cinematography, one of the locations soulfully captured by the camera being Hampton Court Palace. Early scenes in the movie make the façade of the castle a veritable character, particularly when the King’s Beasts make dramatic cameos. The ten statues of heraldic animals that flank the bridge over the moat leading to the great gatehouse seem to lick and scream into the cloud-clotted sky. 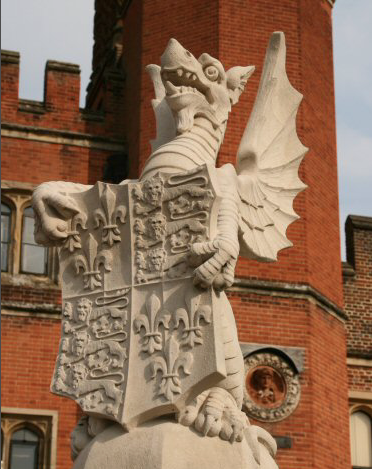 The Royal Dragon, one of the ten King’s Beasts at Hampton Court Palace. 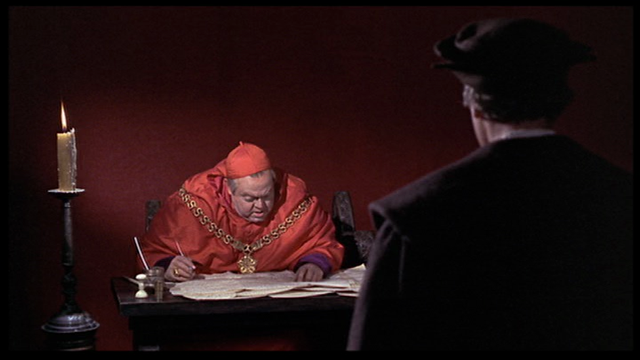 In a powerful scene in the film, a corpulent Orson Welles swathed in luxuriant red as Cardinal Wolsey is troubled by Henry VIII’s arrival as he canters into the castle courtyard. Paul Scofield, who plays Sir Thomas More and has been summoned by the unhappy cleric, looks on. As the film unfolds, the camera cuts to billowing storm clouds exploding on the horizon, their edges drawing themselves with luminosity as if they are burning from within. Boats deploy and return, their oars slicing through green-gray water hemmed in row upon row of reeds that draw dark datum lines at the river’s edge. 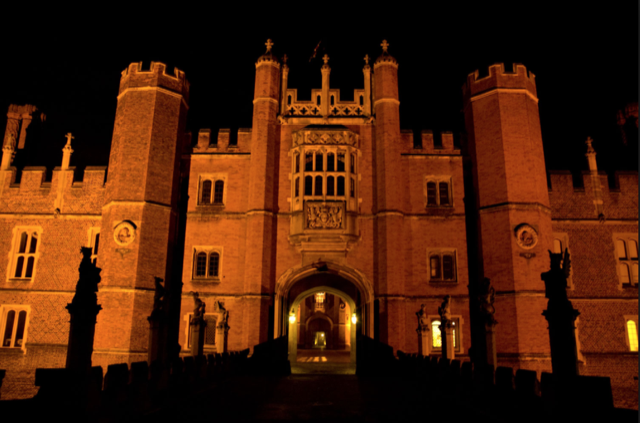 When a night-darkened Hampton Court Palace comes into view, messengers and power-mongers slip past torches that flicker on the castle’s bricked façade. The director, cinematographer and editors who “painted” these scenes transported me to a bygone era when the palace was an important hub of political power and intrigue. Hampton Court Palace at Night, the King’s Beasts Flanking the bridge. The King’s love of the joust drove the latter innovation, his pseudonym during tournaments “Sir Loyal Heart.” While participating in the tournament depicted above, he laid trophies at his first queen’s feet to call attention to his strength and libido. 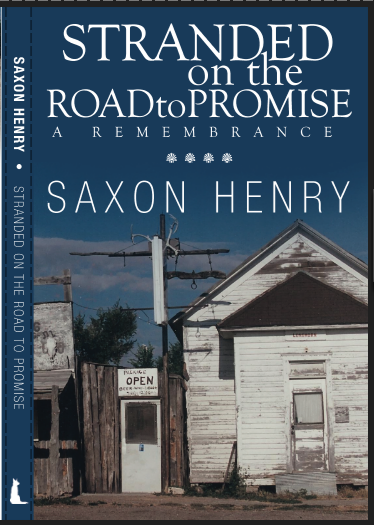 This would become a habit, writes Nicola Shulman in Graven with Diamonds: “During celebrations Henry and his varied queens would sing lyrics after jousting tournaments to celebrate his sexual prowess and virility. The King got a bit carried away during one such ceremony, singing, ‘I hurt no man, I do no wrong/ I love true where I did marry.’ He was still on his first wife, Catherine of Aragon, at the time!” Five more would follow, of course, making his claim of genuine affection preposterous. 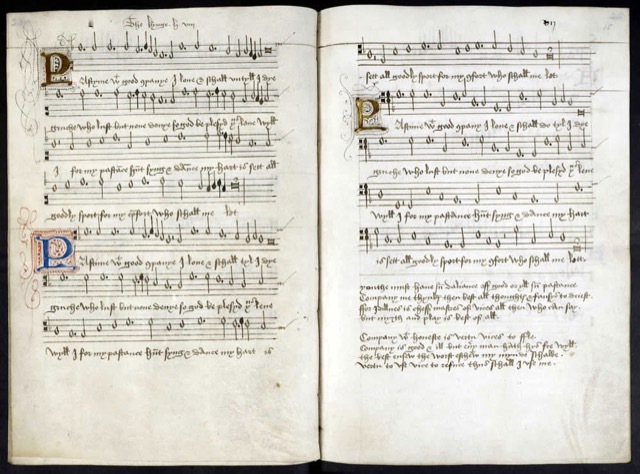 Pages and pages of Henry VIII’s assets. Exploded is no exaggeration. 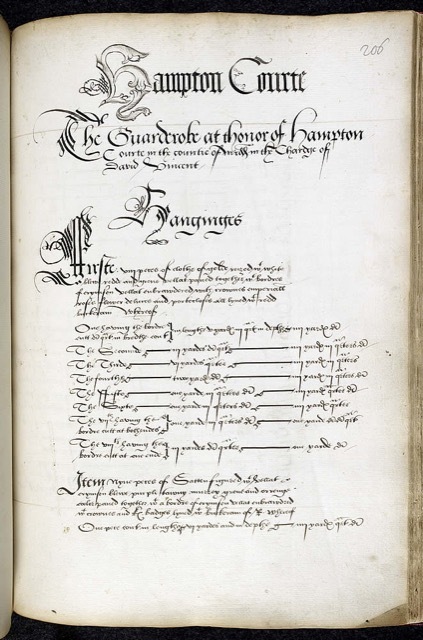 Upon Henry VIII’s death on January 28, 1547, it took a group of hired commissioners 18 months to compile a detailed list of his belongings. 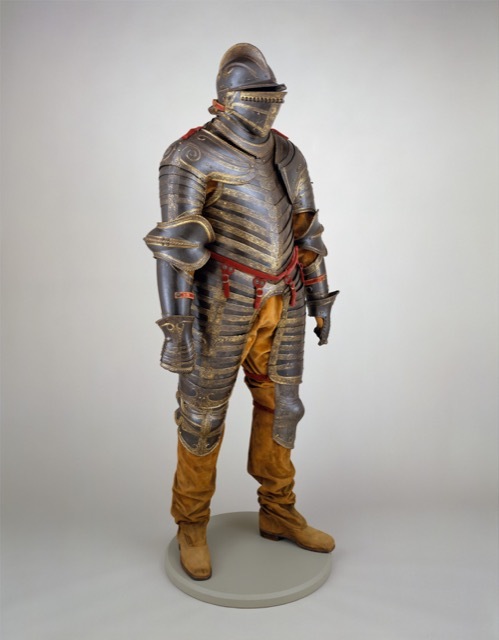 The first segment of the surviving inventory includes money, jewels, plate, artillery, munitions, ships, arms, armor, horses, masque garments, tents, religious gowns and books. And the second covers other items in the principal royal houses, wardrobes or stores. In total, the lists include hundreds of thousands of objects. 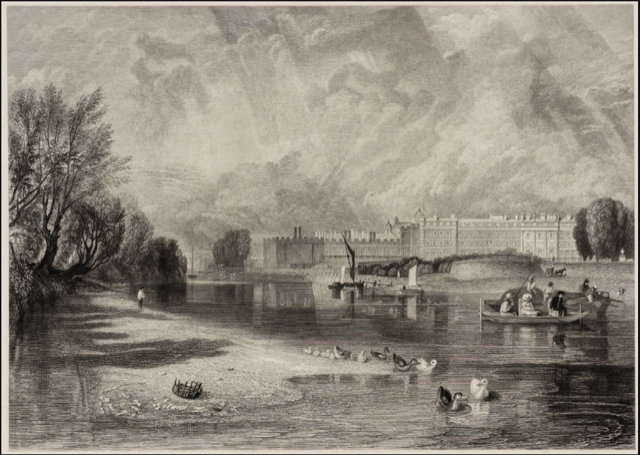 Also among his assets were the Whitehall, Hampton Court, Greenwich and Richmond palaces. 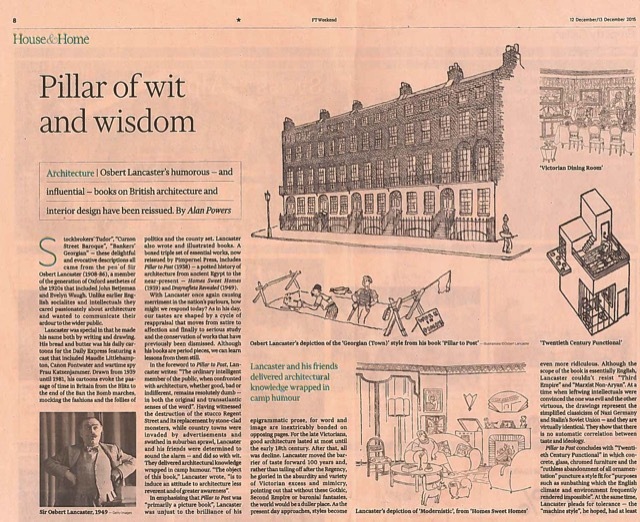 Before his expansion and refinement of it, Whitehall was called York Place. 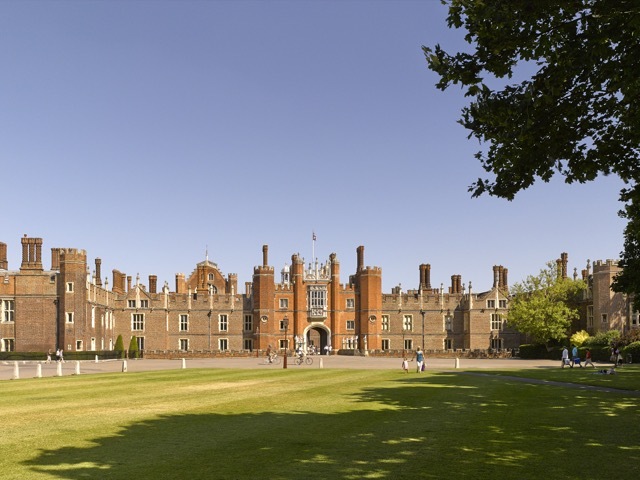 Like Hampton Court, Henry VIII took the property from Wolsey. Once he’d made it his own, he asked Flemish topographical artist Anthony van den Wyngaerde, who created the sketch of Richmond above, to work with him in redesigning the buildings. 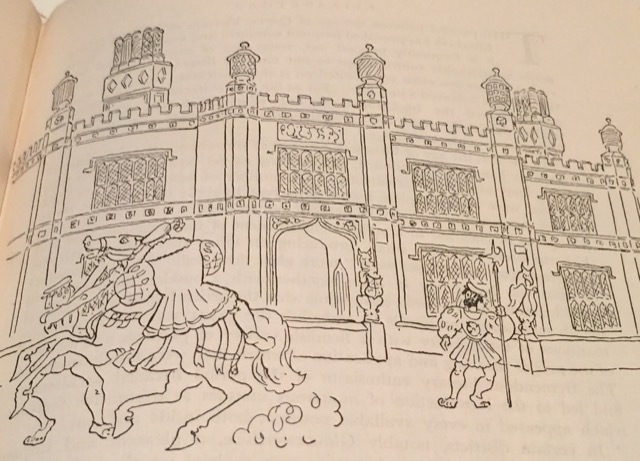 It was at Whitehall where Henry would marry Anne Boleyn in 1533 and Jane Seymour in 1536, and I can only imagine the magnitude of the celebrations that would have taken place during these occasions, which would likely have included grand tournaments within the palace’s tiltyard shown in the sketch below. In this plan of Whitehall Palace from 1680, the tiltyard is much less visible due to the growth of the royal complex around it (it’s just above the word “White” in “White Hall”). Image courtesy WikiMedia. 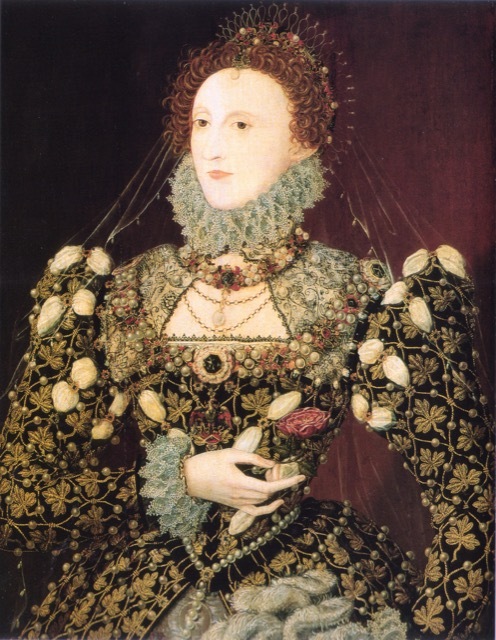 This portrait of Queen Elizabeth I, attributed to Nicholas Hilliard, is a classic example of Elizabethan portraiture. Image courtesy of WikiMedia. The Horse Guards Parade with the London Eye Ferris wheel in the background; image courtesy WikiMedia and George Tsiagalakis. 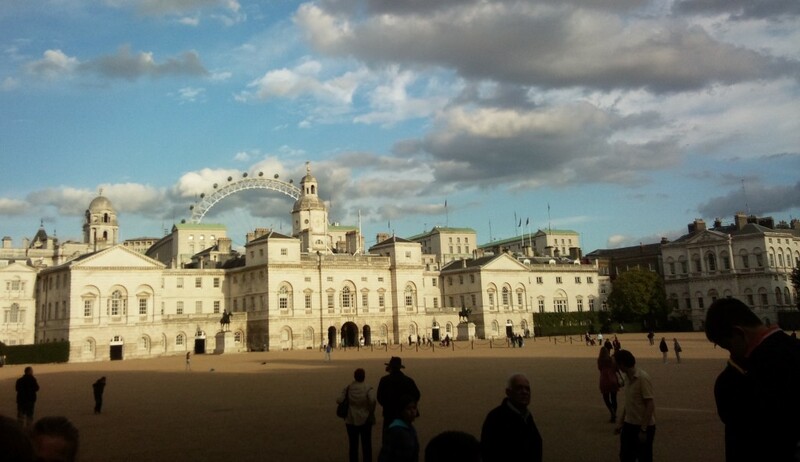 Most of Whitehall was destroyed by fire, though King James I’s Banqueting House survived, as did the tiltyard Henry VIII built there, now the Horse Guards Parade (pictured above). Richmond also burned, both losses taking with them chunks of the Tudor King’s architectural legacy. The fact that the Banqueting House still stands is fortunate because its interiors hold the only surviving in-situ painting by Peter Paul Rubens, a treasure I will make time to see the next time I’m in London. 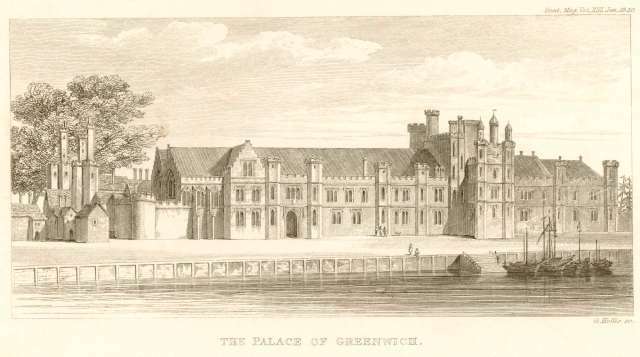 A sketch of Greenwich Palace in England, published in the Gentlemen’s Magazine in 1840; earlier published by W Bristow in 1797. Courtesy of WikiMedia. 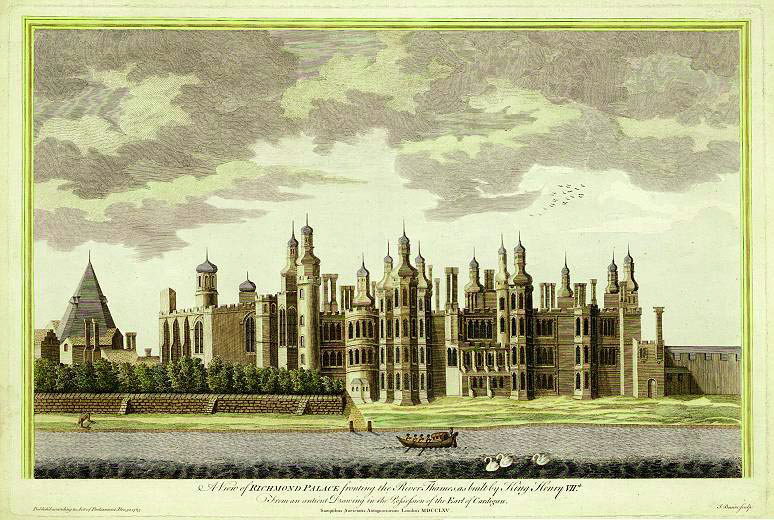 Not much of the version of Greenwich built by Henry VII and renovated by Henry VIII survived either. I found one reference that states the foundations of the two brick towers that flanked the spectator stands hemming the tiltyard built there are buried beneath the lawns of the Queen’s House. If anyone can confirm this, I’d love to know if it’s true. 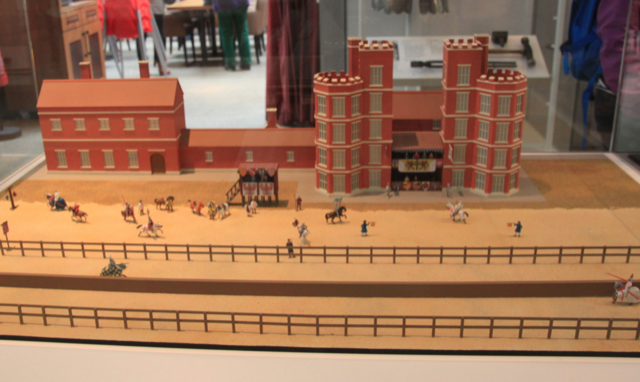 A model of the tiltyard that Henry VIII built at Greenwich in 1516–down the center is the ’tilt’, a wooden wall of around 2 metres high. Henry VIII once again used masonry to achieve an aesthetically pleasing façade at this sporting venue, as is shown in the architectural model above, which is all that remains of the project. 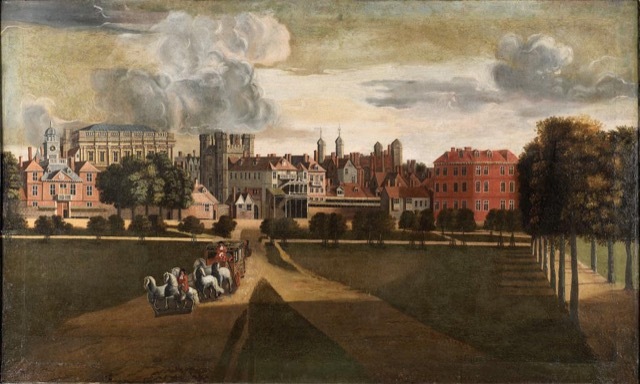 It’s easy to see why William Harrison’s Description of Elizabethan England, published in 1577, declares that, “Certes masonarie did neuer better flourish in England than in his time.” Thurley calls the tiltyard towers at Greenwich diminutive castles, “a make-believe backdrop to the mock-warfare of the Tudor Court.” It was atop the layers of sand, gravel and lime plaster he commanded be put down beside the palace in which he was born where Henry VIII would suffer his most serious accident while jousting—on January 24, 1536, at the age of 44. 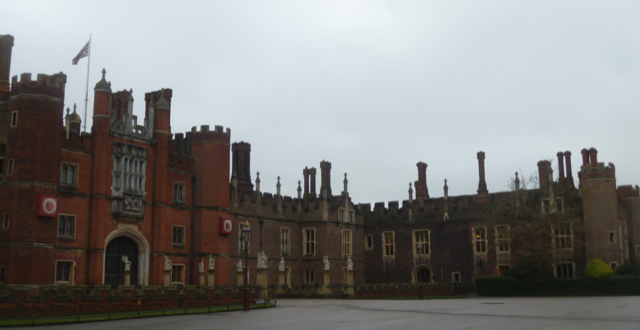 The Tudor west front of Hampton Court Palace shows the Great Gatehouse, built by Cardinal Wolsey, in the center. Henry VIII’s most productive years constructing and renovating, which began in 1529, coincided with Cardinal Wolsey’s downfall and Anne Boleyn’s influence. There is an interesting pie chart in Thurley’s book showing how Henry VIII came to own his many domestic residences, only a small portion of them resulting from new construction. During the last seven years of his reign, three new building projects of substance were begun—the grandest being Whitehall, which was unfinished when he died. The remainder of undertakings that kept him busy, a substantial list to be sure, were renovations of existing properties. 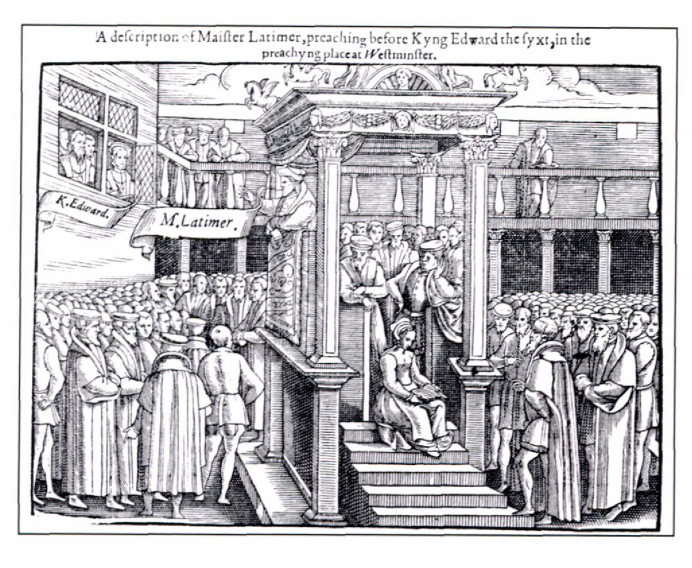 A woodcut created for the 1563 edition of John Foxe’s Acts and Monuments, showing Edward VI listening to Bishop Latimer preaching in the privy garden. It would be renamed The Preaching Place. 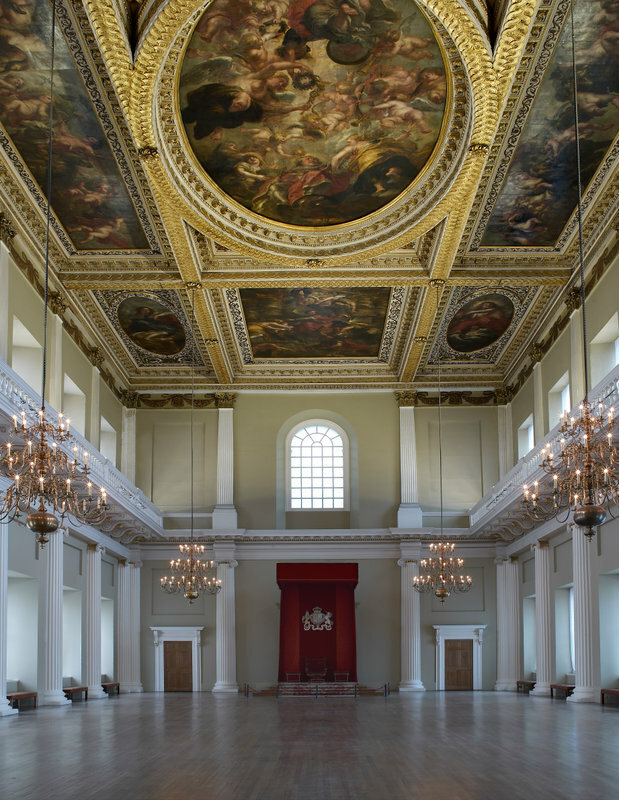 The interior of the Banqueting House gloriously festooned with Peter Paul Rubens’ paintings; image courtesy Paul Barker. Thurley believes his many sporting compounds were likely inspired by his father, who built the first sport complex at a royal house—still referred to as “the father of all subsequent English royal recreation centers.” Henry VIII loved sports so much that his Court was launched into an almost incessant round of it when he took the throne—hunting and jousting, the most popular and frequent sports of his youth, most often on the agenda. 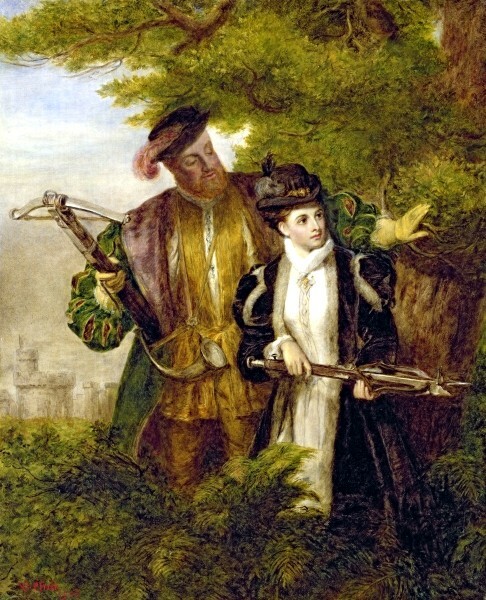 “Henry VIII and Anne Boleyn Deer Shooting in Windsor Forest” by William Powell Frith. Image courtesy Wikimedia. And chivalry was at the heart of it all, notes Lord Scales, who is referencing Henry VIII’s design of the venue at Greenwich when he wrote, “For him tournament was the most graphic expression of the chivalric bent of his Court. The tiltyard building with their castellar overtones emphasised the chivalric values underlying jousting.” How anxious was Henry VIII to make his mark as a builder of recreational centers? 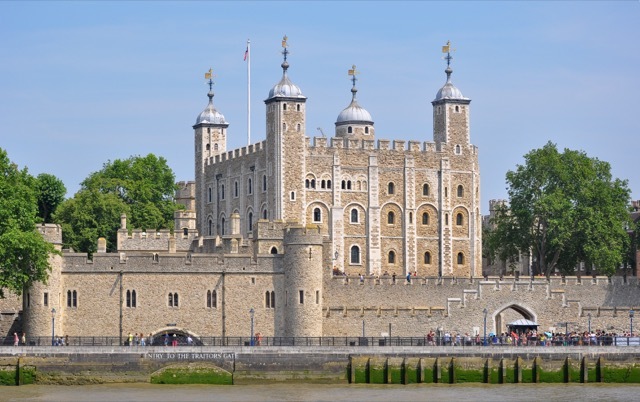 The first noted payment he made as King was to Henry Smith for a tiltyard at the Tower of London, a project that doesn’t appear to have been realized. Tower of London from the Thames; image courtesy of WikiMedia and Bob Collowân. 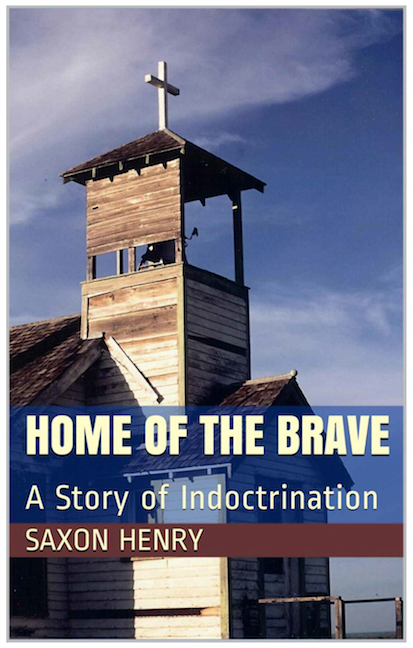 He goes on to contradict himself a few sentences later when he adds, “although the country no longer suffered from constant civil wars the memories of past dangers were still vivid and led to the retention of many of the features of the castle.” These were obviously contrarian times for a King bent on building! Looking back, it’s no wonder danger was top of mind for the elite—if being invaded by foreign kings wasn’t enough of a threat, anyone afforded a position in a Tudor Court was subjected to a remarkable amount of scheming that made it treacherous to be a nobleman. And one didn’t have a snowball’s chance in hell of retaining a modicum of influence unless the formal residence was imposing enough. This is the power of architecture’s authority throughout history. And not much has changed in the four centuries since. Otherwise, who would care whether our country’s royal residence, the White House, is grand or not? The Modern Salonnière and this entry, The Built Legacy of Henry VIII, © Saxon Henry, all rights reserved. Saxon is an author, poet and SEO strategist based in New York City. 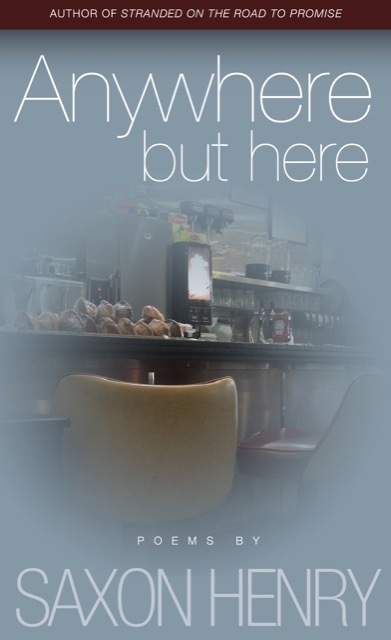 Books include Anywhere But Here, Stranded on the Road to Promise and Four Florida Moderns.